These paleo and keto brownies are extra fudgy, super easy, just 5 ingredients and 1g net carb a pop! 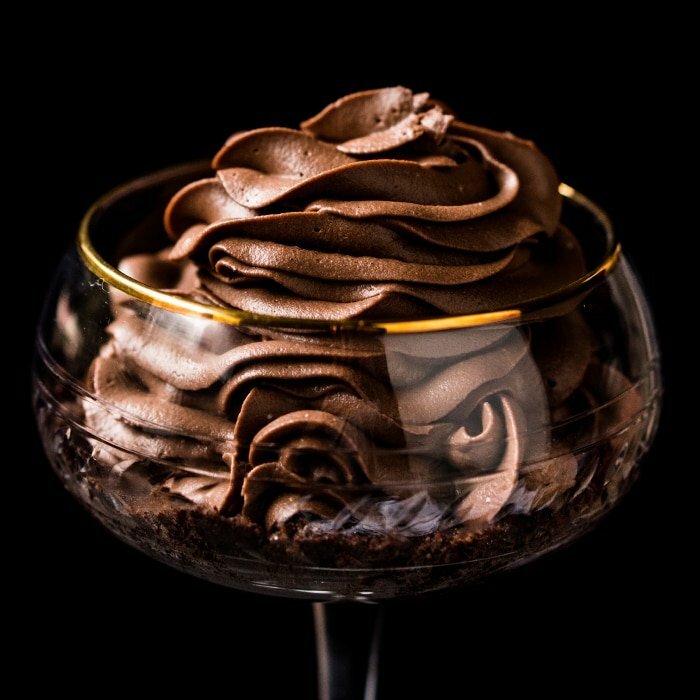 Now that’s what we call the ideal low carb chocolate dessert! The recipe was first published on January 8th ’18, and has been updated to provide more info on various sweeteners. Ridiculously decadent, suuuper fudgy and intensely chocolatey, these keto brownies are one indulgent low carb chocolate treat. 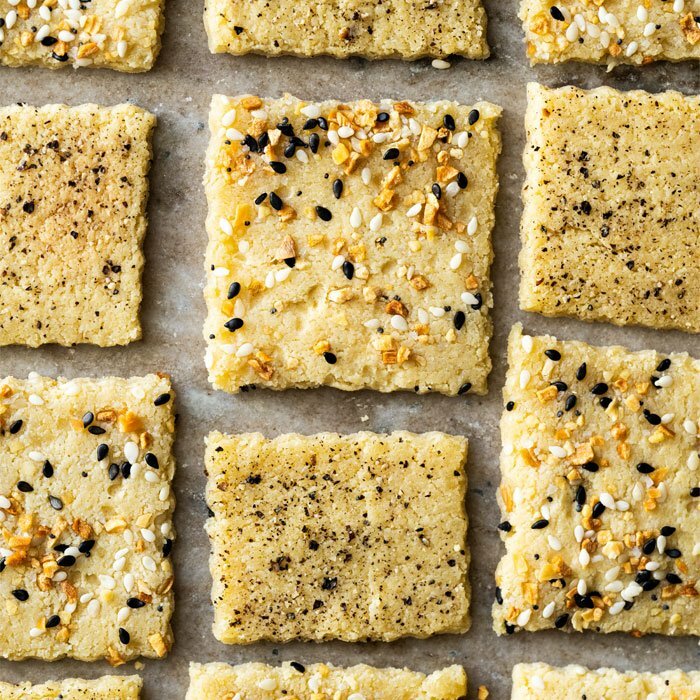 Plus, they’re suuuper easy and with staple (grain-free) pantry ingredients. p.s. these are very chocolatey, as in proper chocolate! So ideal for you dark-chocolate-lovers out there. Oh, and if you’re into brownies and cheesecake (who isn’t?! ), do check out our keto cheesecake brownies based off these guys. 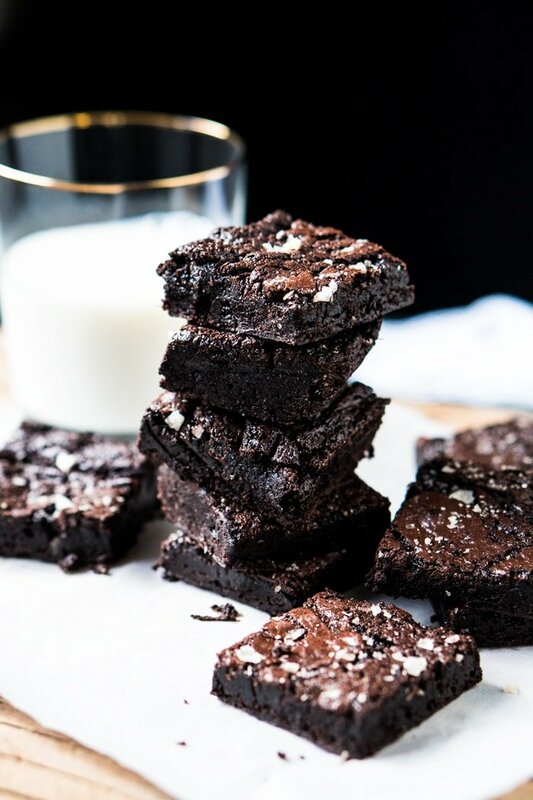 This recipe happens to be a keto adaptation based off Alice Medrich’s famous cocoa brownies, incidentally one of the most popular brownie recipes on the web. And the keto result varies little from the original, albeit perhaps a little less chewy and more melt-in-your-mouth sorta thing (courtesy of the lack of gluten). Fun fact: Medrich’s original recipe called for beating vigorously with 40 strokes (exactly!) to incorporate the batter. Now that’s what we call precision. 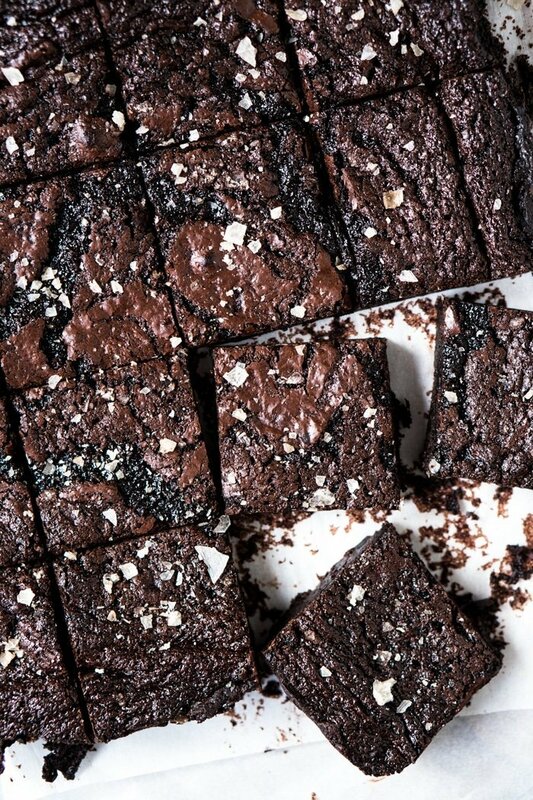 We’ll start with the most important one: do not over-bake the brownies! Timing might just be the most important rule when making any type of brownie, so you don’t end up with a dry and crumbly mess. Keep an eye out for them, and take them out once the center is set and a toothpick inserted comes out moist (but not drenching). We even prefer to slightly undercook them and chill them in the fridge before cutting. That’s the secret for extra fudgy brownies. I’ve also noticed that when using powdered erythritol rather than xylitol (my favorite), you also need to decrease the baking time by about 5 minutes as they cook faster. You’ll also want to use eggs at room temp. Reason being that if your cocoa/butter mixture is not hot enough (and your eggs are very cold), they’ll solidify the butter and your batter will be too thick (doesn’t affect the end results, just annoying to spoon rather than pour!). And if possible, refrigerate the batter overnight. This is an old Medrich rule, but it does work a charm to get a richer texture (as the flavors have had a chance to mingle). Though if not possible, honestly don’t sweat it– we’ve done them either way multiple times. Just keep in mind that your batter will solidify in the fridge (as the butter sets), totally normal and just pop the baking dish in the oven as is. Cocoa brownies are generally regarded as second best to their ‘molten chocolate bar’ counterparts, given that they’re generally more cake-like than fudgy. 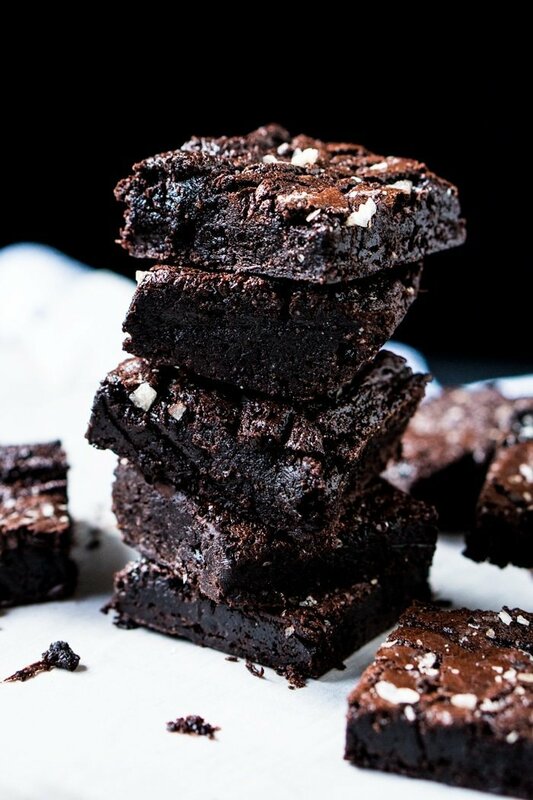 But that’s most definitely not the case here, as these are some of the fudgiest brownies you’ll ever make. Albeit ‘healthier‘, as you can control the chocolate and fat input completely, so no added refined sugars, preservatives etc. And of course, cocoa powder is much less expensive than chocolate bars (particularly keto ones!). So think of these keto brownies as wallet-friendly too. Cocoa or cacao? Both work great, just know that quality really matters here. Our favorite will forever be the Dutch-processed alkaline cocoa Valrhona, known to be one of (if not the) best cocoas in the world. 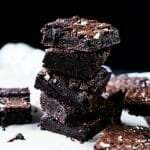 But feel free to use a raw cacao powder (arguably more nutritional perks here), though keep in mind that your brownies will be lighter in color and more reddish in hue. Both are well and good, as long as they’re unsweetened. p.s. a lightly sprinkle of flakey sea salt works wonders to cut through the chocolate in these guys! And Maldon flakes are the undisputed best, by a mile. This recipe uses almond flour only (💥💃🎆!!). Yup, that’s it! Having said that, you can always sub half of the almond for hazelnut flour (think Nutella), if you wanna spiff things up a notch or give them a little twist. In terms of brands, for the almond either Anthony’s or WellBees work great. Both are super fine grinds. You’ve got a couple options here. Xylitol has become my top choice (no aftertaste, best and chewier texture), Lakanto (barely any aftertaste, and many of you also love the Golden version), and powdered Swerve (some cooling sensation, but still great). Xylitol takes (much) longer to dry out though so your brownies will be extra delicate (think gooey) right after baking. If using erythritol in any form, because it needs a little extra help to dissolve than xylitol (and they vary so much from brand to brand because of different fillers and so on! ), you’ll want to be sure to use a powdered form. If you only have granular on hand, don’t sweat it, and simply blend it in your (very dry!) bullet or blender until powdered. Easy-peasy! And one more thing to keep in mind, is that a few of you who have used erythritol (Swerve in particular) report back periodically that your batter ends up thick. This seems to be improved by microwaving rather than using a water bath, and using powdered rather than regular. Though there seems to be no hard rule here. Doesn’t seem to affect much the taste in the end, so just spread the batter rather than pour it in. But if you’re finding your brownies feel too thick, simply add in an extra egg (just don’t over-whisk or they could become more cakey). Fun fact: it might also be our taste buds here, but we’ve noticed that stevia-based sweeteners (such as Pyure) don’t work so great when chocolate is involved as the aftertaste is accentuated. So we cannot recommend enough that you don’t use stevia-based sweeteners here. Oh, and if just paleo or gluten free (or not restricted by sugars), simply sub 1-to-1 with coconut or regular sugar. These paleo and keto brownies are extra fudgy, super easy, just 5 ingredients and 1g net carb a pop! Now that's what we call an ideal low carb chocolate dessert! unsweetened macadamia milk nice 'n cold! See recipe video for guidance! Position a rack in the lower third of your oven and preheat to 350°F/180°C. Line with parchment paper the bottom and sides of a 8x8-inch baking pan. Set aside. Add butter, sweetener, cocoa powder and salt to a medium heatproof bowl. 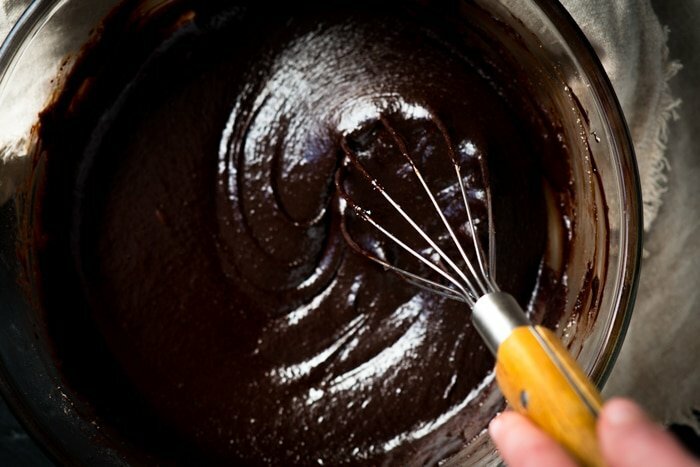 Melt over a water bath whisking constantly (or use the microwave, in small increments). You'll want to heat it up until most of the sweetener has melted and the mixture is well incorporated (note that erythritol, unlike xylitol, won't dissolve much at this point). Remove from heat and allow the mixture to cool slightly. Add one egg at a time, whisking well after each one until completely incorporated. The texture should appear smooth, with all the sweetener dissolving into the mixture. And if using erythritol, and your batter ends up too thick, you may want to add an extra egg. Just be sure not to over-whisk, or your brownies could end up more cakey rather than fudgy. Add the almond flour, whisking vigorously until fully blended (about a minute). Bake for 15-25 minutes (we do about 23 with xylitol and 17 with erythritol), or until the center is just set and a toothpick inserted in the center comes out moist. This really does vary (a lot!!) from oven to oven (think convection etc), so give them a check from minute 15 the first time around, and remember that you'll brownies will continue to cook while they cool. Sprinkle with flakey sea salt (optional) and allow to cool completely on a rack. 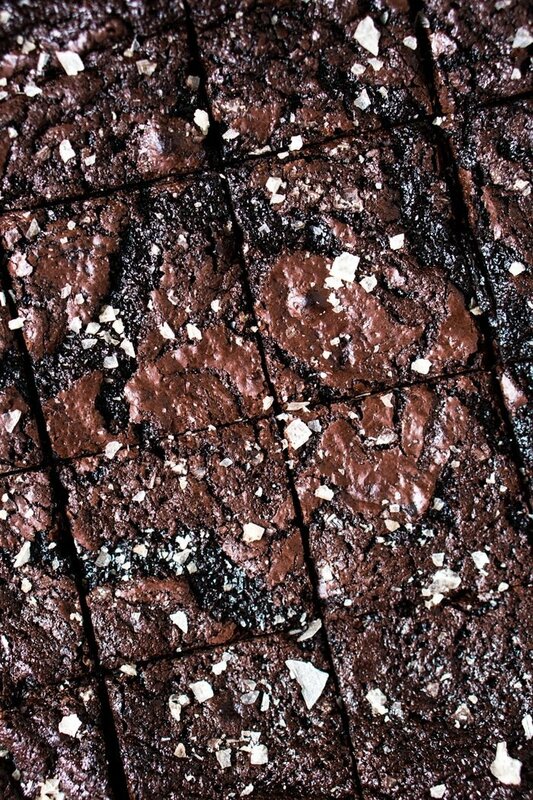 Lift brownies using the edges of the parchment paper and cut into desired size (we do 16!). To get extra clean edges, place in the freezer for 10 minutes prior to cutting. *Please see section on sweeteners for deets and possible substitutions (very important, as various sweeteners behave very differently here!). Just keep in mind that stevia doesn't work (at all!) for these! And if using powdered erythritol, and your batter ends up too thick, you may want to add an extra egg. Just be sure not to over-whisk, or your brownies could end up more cakey rather than fudgy. **If measuring the cocoa with tablespoons rather than grams, be mindful of how you scoop as you can end up with a lot more cocoa powder than needed. Drop the cocoa powder into the tablespoon and level it, rather than scooping it out of the bag with the tablespoon (which can lead to overpacked tablespoons!). **Use eggs at room temp. Reason being that if your cocoa/butter mixture is not hot enough (and your eggs are very cold), they'll solidify the butter and your batter will be too thick once you add in the almond flour (doesn't affect the end results, just annoying to spoon rather than pour!). Ok, I didn’t rate this because well something must have went terribly wrong and I want to give it another chance. these brownies smelled DELICIOUS when they were baking so naturally i could barely wait to try them after dinner. however they were SOOOOO salty it was as if i succeeded in making an ocean flavored black bread! I don’t know what i did wrong but based on other reviews it must have been almost criminal!! Hi Becky! Did you by any chance use salted butter? For extra fat, I added half a block of cream cheese mixed with vanilla, cream, and sweetener to taste. 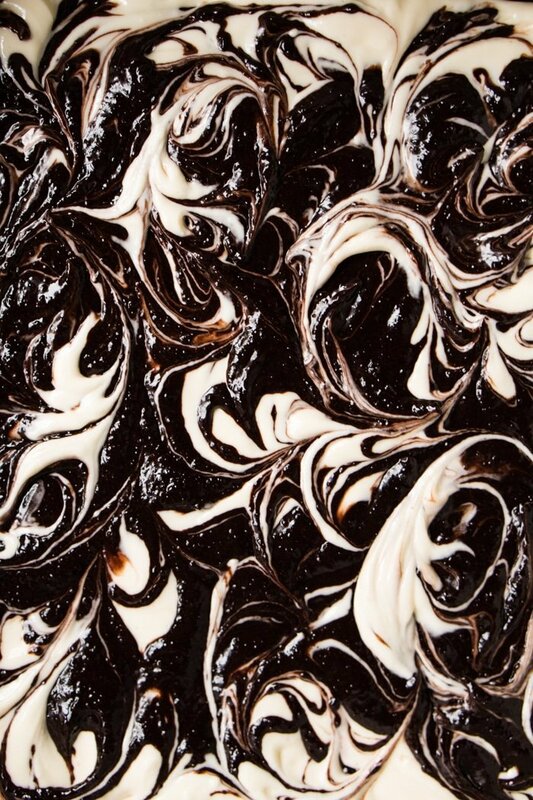 I then swirled it through the batter to give it a marble effect! It turned out great. 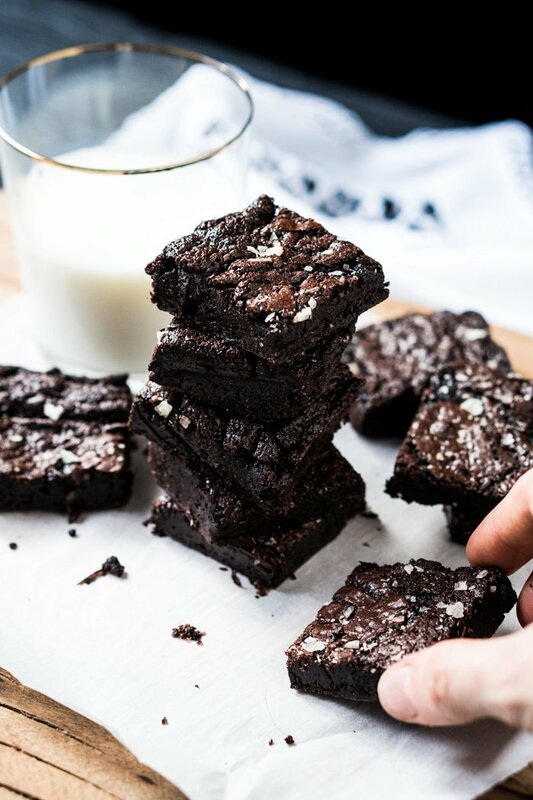 This is an awesome brownie recipe! I tend to accumulate recipes in an attempt to find the perfect one, so this weekend I made small batches of 6 different low carb/keto brownie recipes I’d found on various blog sites. This recipe was the hands down winner – everyone in my family liked it! What a wonderful review Jennifer! So happy to hear the brownies came out on top lol 😉 thanks so much for reporting back! 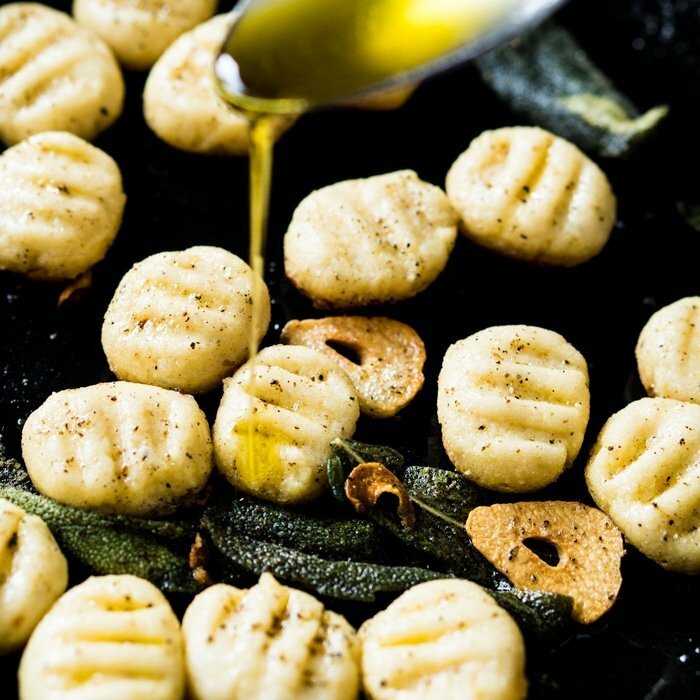 Would this recipe work with walnuts or hazelnuts in the mix? So stupid to have half of the measurements in grams. I need to try that sweetener still! On my amazon cart right now 😜 thanks so much for reporting back in detail, super awesome to hear! Followed the directions exactly. Used Erythritol as the sugar substitute. Baked for 17 mins in an 8×8 and they were still too soft in the middle so put back in the oven for another 5 mins. They did come out better and cut very easily. IMO they needed more sweetener, a bit rich(I did loosely pack the cocoa as recommended) but very good for a brownie on a low carb diet. Would make again…may use a bit more erythritol than called for. Want to try the cheesecake version! Thanks for the recipe! Hi Shannon! Awesome to hear! You’ll find that on keto sweet palates vary A LOT once you have cut out sugar for a while, which is why I give two amounts of sweetener (if you read the notes you’ll find more!) xo! Hi Monica! In my opinion swerve has one of the strongest aftertastes (leaves a cooling/minty effect). But if you used coconut sugar (which isn’t keto, not sure your diet) you could just use cane sugar? Otherwise allulose or xylitol are your best bets for no aftertaste xo! Excellent! My husband proclaimed these the best. A little more work, but hardly and the flavor/texture is so much better than dry cocoa powder mixtures. I used xylitol and they have NO discernible cooling after effect. We don’t have any GI problems with that sweetener. I use an organic version from birch. Very good recipe. I’m making them again this week. Hey I made the keto brownies but they have become too sweet.I think I added more sweetener so what should I do now? WOW these a fab. I made some minor adjustments – I added vanilla essance & 30 grams of chopped up 90% lindt dark chocolate. The sweetner I used is a blend of Erytitol, Xylitol & Stevia (its an NZ brand that measures cup for cup with sugar) so I found 140 grams was plently & I only required the 2 eggs. My brownie pan makes 18 brownies so they are the perfect size as a wee treat with coffee & I find 1 is plenty for me. Ok, I used the Xylitol and I pretty much crapped my pants for two days. They tasted great! But 6 hours later, I was a walking fire hose. I didn’t know it was that so what did i do? I ate two more yesterday and again, I might as well been a C130 dropping on a fire. I have used it to make peanut butter cookies but less and it’s far more spread out per cookie. This was too much for me and apparently, you have to build up a tolerance I read. Right now, I’m stuck on sweeteners for baking. If something doesn’t agree with you I suggest not eating it! You can build a tolerance, but imo not worth it. I’m fine with non-corn xylitol, but you can also try allulose (no gastric upset!) xo! How much allulose would you recommend? I just bought some recently after learning about it in your posts, but since it’s less sweet I have a hard time adjusting. But I love it! No more indigestion from keto sweeteners! Hi Katie! Allulose is awesome right?! Like xylitol but without the bad parts! It’s 70% as sweet as sugar, so I multiply by 1.3 to get the amount of allulose. I hope this helps! xo! This keto brownie recipe is AMAZING. One of the hardest things in Keto is not being able to eat dessert especially when you’re a chocolate fiend like me. However, after breaking down the nutrition facts, the ones posted above are in accurate. I would suggest for other to do it manually. After calculating each item (9 tbsp of butter, 2/3 cup of Coconut Sugar, 1/4 cup cocoa powder, 2/3 cup almond flour, and 2 eggs), per serving (16 brownies) I have 138.5 calories, 10 g of fats, 11 g of net carbs, and 1.7 g of protein. Now, after calculating that, theres a HUGE difference between the 1 net carb above and what I calculated. But would suggest everyone to do their own calculation when it comes down to breaking your macros. Otherwise I would’ve had 10 by now not knowing I’m out of ketosis :(. Hi Fay! So awesome to hear you loved the brownies! If you’re calculating nutrition with coconut sugar rather than a sugar alcohol or allulose is where the discrepancy lies (coconut sugar isn’t keto, it’s paleo) xo! Can I use Swere or Monk Sweetener that is all I have right now. Thank you for the delicious recipe, but I was wondering are you counting xylitol towards the carb count? My husband and I are trying to reduce calories and carbs. Never fails, he gets a sweet tooth every night. I made these and he loved them. I made some peanut sauce with pb2 powder. OMG!!! Yummy, yummy, yummy. Thanks for the recipe. This is a keeper. Why could have this happened? Any chance your eggs were cold or the cocoa mix was too hot? Maybe you scrambled the eggs? Love the recipe….well all your recipes. The problem I have always have and still fo us that my brownies are always cakey. I use swerve powder and the batter was really thick, so I added the extra egg….still thick, then added more butter and still thick. I’ve tried this recipe several times with the same outcome. Help!!!! I am planning on making these tonight and was wondering if I could sub the flour for coconut flour? Unfortunately no, but you can use other bit flours or sunflower seed flour xo! These brownies are amazing! However, I had to throw out my first batch because I think the butter and xylitol mixture was way too hot (even tho I used a double-boiler method) and it burned the cocoa powder. I waited until the sweetener was almost melted, as mentioned in the recipe, and this makes the batter too hot. It separated, curdled into a very think dough, and turned super bitter. On my second attempt, I just melted the butter and took it off the heat, and first whisked in xylitol then cocoa powder, making sure the mixture was just cool enough to touch. I didn’t really bother melting the xylitol. And the brownies came out so fudgy and delicious! Best keto brownie recipe I have ever tried. Is it okay to not use sweeteners or sugars at all? Will it affect the texture of the brownies? Unfortunately ueah, won’t work without co! Got it, many thanks! Cheers for the recipe! You never answer anyone on using monk fruit sweetener. Do you just not like it,? Hi Vanessa! I just honestly don’t have the time to get through all the questions anymore (100-300 a day..!) so if questions aren’t answered it means that they’ve been answered before (or the post has the info). I LOVE pure monkfruit, but it just doesn’t work for baking…. this might help 😉 https://www.gnom-gnom.com/best-low-carb-keto-sweeteners/ xo! Keto palates regarding sweeteners change a lot! The upper range will give you a more traditional sweetness and the lower range the minimum you can go without altering the ratios too much xo! I’m not sure where I went wrong but my macros on these brownies are ridiculous. I should have calculated the macros first before making these. I don’t know how you ended up with such low net carbs. I come up with about 10 net carbs each for 18 brownies! I used cacao powder instead of cocoa and Swerve so I’m just assuming that’s the issue. Maybe I will look into different ingredients and try again. I made these using homemade ghee (lactose free), coconut sugar and cocao. When I added the first egg, which was room temperature, the chocolate mixture totally seized. The batter ended up being more like dough and the final product more cakelike. The second day they definitely tasted more like brownies. Why didn’t your batter seize in the video like mine did? Did you use an Erythritol sweetener B? In my experience the batter ends up thick (it’s explained in the post) xo! No Erythritol, I just used coconut sugar. Oh man then I’m really not sure? I used to make this recipe when I was paleo and the seizing is a thing with erythritol (though thanks for bringing this up! ), honestly sorry this happened not sure what’s up. You didn’t mention anything about needing more baking time if one did do the part about putting it in the fridge overnight. I ended up baking for a total of 36 minutes as they were still basically batter after 23. It makes sense that it would need more time, but just didn’t see any info about that anywhere. Have yet to try the finished product. They look great and the batter tasted good so hoping for the best! I did use xylitol as my sweetener. Lord Have Mercy I JUST made and ate one 🙌🏽🙌🏽🙌🏽🙌🏽🙌🏽! I was so intimidated after reading the recipe that it took me 2 weeks to get up the nerve to try it. It was So Easy! I used silicon baking cups instead of the parchment paper. The sea salt on top was perfect to cut the taste of the erythritol. And I only needed ONE and was completely satisfied ❣️❣️ THANK YOU! I wish I could post a pic here. I baked this recipe today after a week of following a low carb diet and desperately needing a sweet fix. I used to use a recipe very similar to this with sugar and flour and melting of the cocoa powder with the butter so I was eager to see how they compared. The family loved them! I won’t be following my old recipe again, which has a very high sugar content. Well done for creating this recipe. I’m scouring your site for new meal and baking ideas!! Awesome to hear! And yup, as mentioned this recipe was inspired by Alice’s famous cocoa brownies 😉 xo!! These are delicious! I used half powdered erythritol and half a brown sugar/stevia combo I had in the cabinet. I got nervous when I added the first egg and it started to get a weird texture, but after adding the second it all smoothed out. I recommend adding the flour 1/4 cup at a time so it mixes well. I made these on Saturday for my son. However I won’t see him until Weds. They are wrapped in Saran Wrap. Should I freeze them or will they be ok until then?